Our catalogue of kitchen stools has been crafted together to offer something for everyone with a wide variety of styles designed to cater to a multitude of tastes. Kitchen stools are generally a more contemporary furniture piece but a kitchen stool in a classic rustic natural oak finish is an effective way of utilising a modern item in order to create a traditional design. Alternatively, we have an eclectic mix of modern designs along with our painted finishes that are a fantastic option for anyone looking for a more unique kitchen design. Our kitchen stools come with various different styling options. Choose from either a solid oak seat or for something a bit softer, choose from a selection of stools with seats that we have upholstered in a premium quality leather. Our extensive collection also includes a mix of cross back and slat back designs. 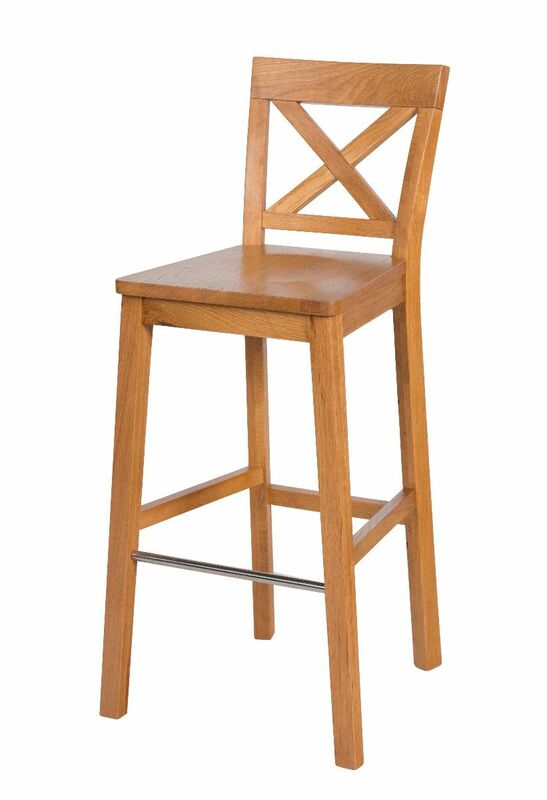 Our kitchen stools are available in a broad range of sizes. Pick your ideal sized stool starting from a low stool sitting at 46cm high all the way up to high stools standing tall at 99cm in height. 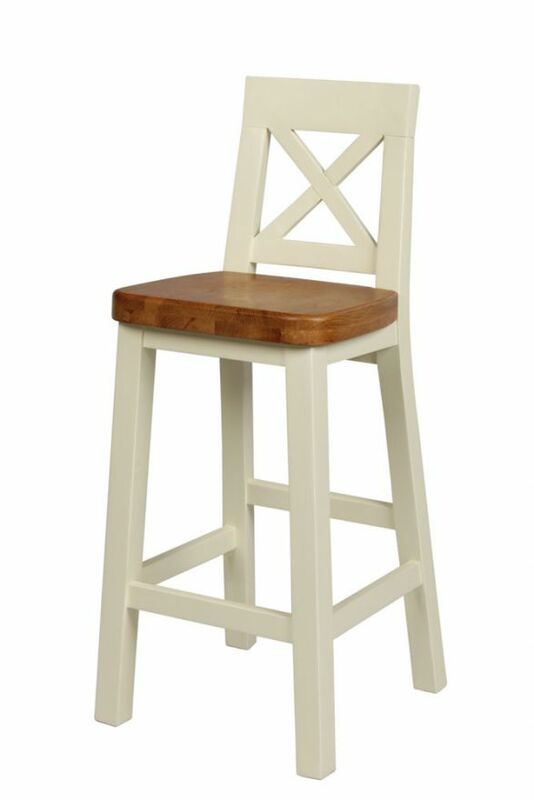 Designed to suit various dining table heights, our collection of kitchen stools offer something for everyone. Manufactured using the finest quality sustainably sourced oak, our kitchen stools are not only fashionably stylish but also durable and robust so that they are hard wearing and capable of standing the test of time. After all, nobody wants an unexpected surprise when going to sit on a stool that hasn't been manufactured to allow it live an industrial life. Furthermore, our oak kitchen stools have been designed to fit effortlessly with our kitchen table designs to help make creating the complete kitchen furniture design an easier task than ever before. Solid oak kitchen worktops are growing in popularity, so we are finding that popular designs such as the billy oak kitchen stool are also growing in popularity as they offer amazing value for money and match incredibly well with most oak worktops. 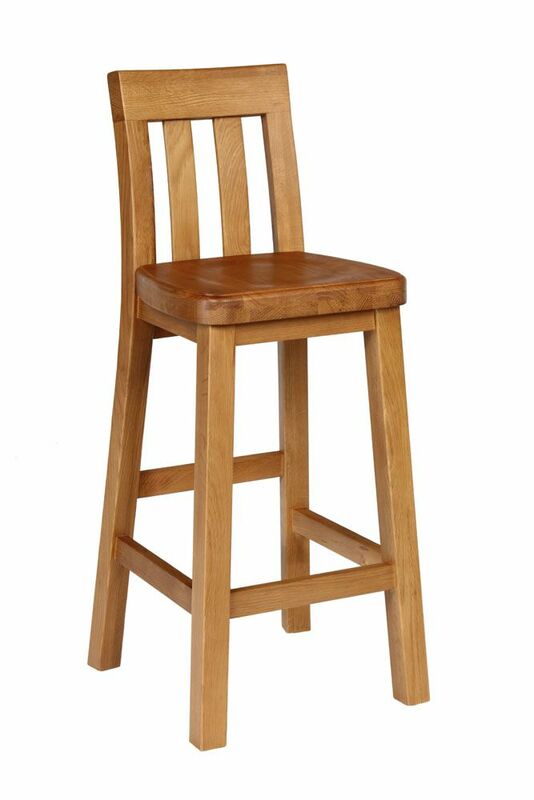 All of our kitchen stools are built to last, so rest assured that while you might be buying at a non-premium price, the quality that you are investing in is 100% premium. Don't just take our word for it though, this is also evident from our customer product reviews that you can easily find on each individual product page.